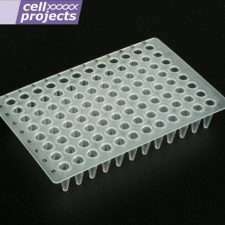 12 x FDX Saliva Collectors (Includes funnel, FluidX tube filled with 1ml stabilisation buffer, 2 swabs, cap, & instruction manual). These FluidX GeneFix™ Saliva Collection devices are designed to integrate and fit many robotic machines using a wide range of chemistries. The tube choices offer 1-D and 2-D bar coding with common code functions and sealing caps that can be auto de-capped and designed within available industry standard racking systems. 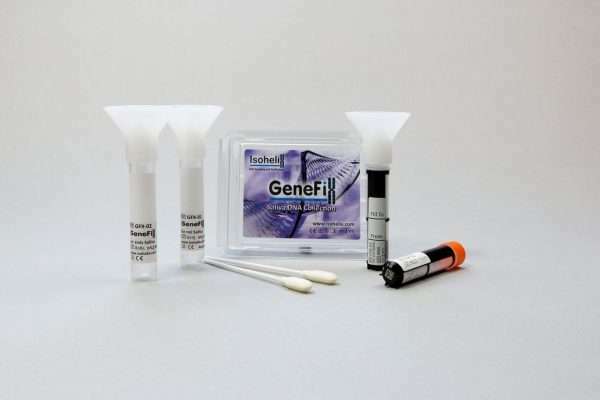 The Assisted GeneFix™ DNA saliva collectors are for 1ml saliva samples and contain foam swabs for collecting saliva. GeneFix™ Assisted Saliva Collectors are especially useful where donors find it difficult to delivery saliva, such as children. The assisted kits contains the standard GeneFix components and 2 absorbent swabs to assist the saliva collection. The swab is simply squeezed against the inside of funnel to release the saliva into the 1ml of stabilized buffer. 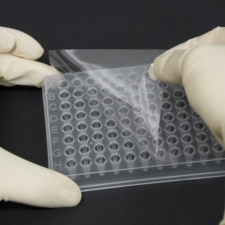 Expected DNA yields are on average around 25µg and would be purified with exactly the same format and results as the standard GeneFix™ collectors. 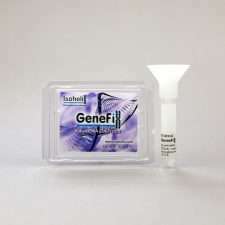 GeneFiX™ is an easy to use DNA saliva collection device that stabilizes DNA long term. 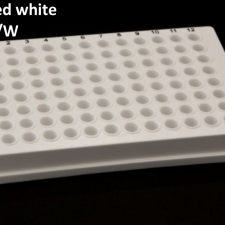 These GeneFix™ DNA saliva collectors are for 1ml saliva sample options. 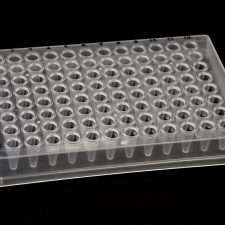 For 2ml saliva sample options, see our related products.